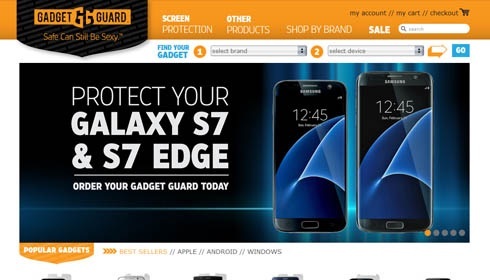 Gadget guard is a great example of a company where we have made a major impact. After meeting with their team and getting to know what their needs were we were able to design a solution for them that would address the monstrous growth there company was experiencing on a site that was not designed to handle the scale of their usage. Through auditing and reviewing code from other developers and refining the site overall we were able to address load times, performance and security issues that have resulted in a massive change in consumer experience and conversion rates.